Photo challenge – Rule of Thirds – Tasting the World – On the road, with stuffed hand luggage and face. Camera in my hand. This week´s Photo challenge topic is rule of thirds. I think I use this technique quite often, so I just had to dig into my archives and find a nice example. 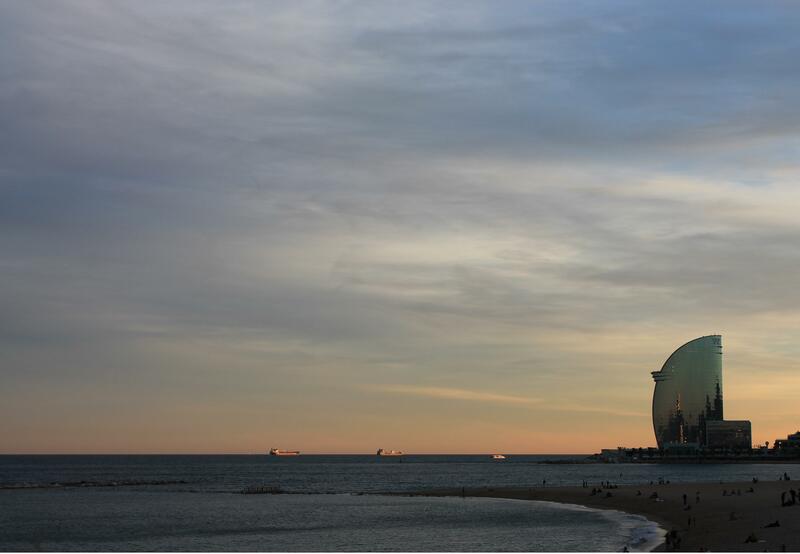 I took this picture in Barcelona when we were walking along the coast. The colour tones of the sky and the reflection on the building in the corner are the reasons why I like this picture. Great photo and a good use of the rule of thirds. I really like the deep sky and the modern building contrasting the rest of the landscape.